Is is finally snowing today at Donner summit after a long dry spell thus far. 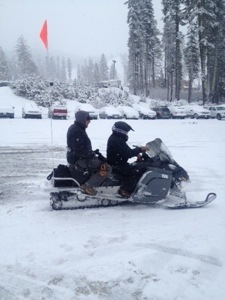 A NEV-CAL first, having to be taken to our inspections today by snowmobile into Sugar Bowl. Let the adventure begin!